Getting it connected at work its a nightmare,I've had a million phone calls at least eight appointments, calls from people who say they are Telstra make a appointment wearing Telstra logo and also on the business card when infact they are Telstra partners not Telstra. 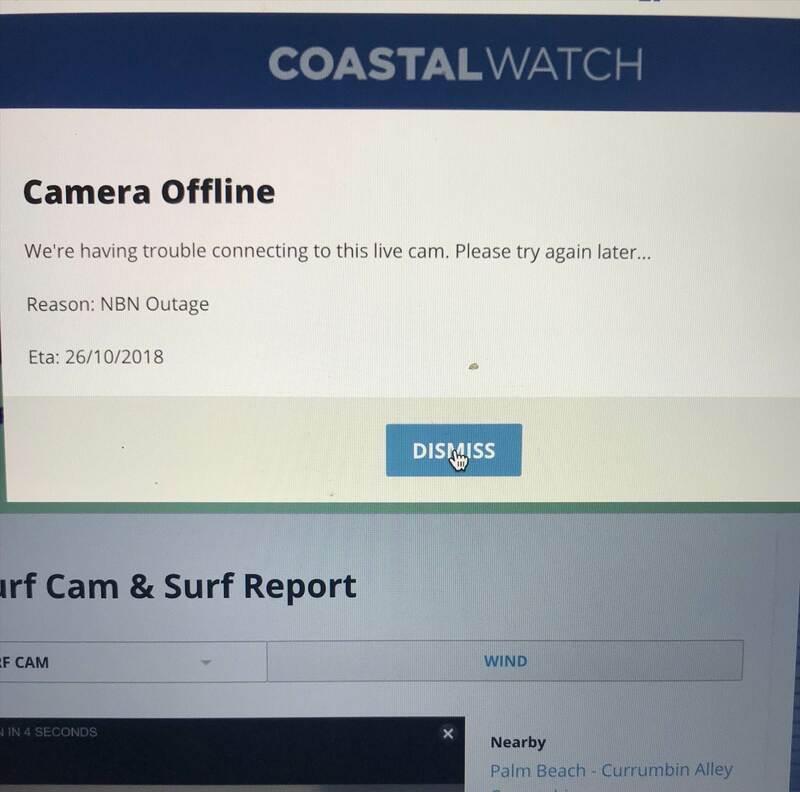 Telstra connected us from a office when we were not connected to NBN,the outcome no internet for two days. One of these knobs sold us a phone system 18 months ago, now we have found out its not compatible with NBN. If your phone system has PSTN lines the Telstra NBN router can spit out PSTN lines. If it has ISDN lines, a One Access box can spit out ISDN. You don't need to go native SIP, there are options that don't involve the outlay of a new phone system. A commander from the '90s is NBN compatible! Update,Teltra booked in yesterday between 9 and 1 he arrives at 2.30. As the appointment was to confirm our current system was NBN compatible he said it will be sweet,hours later way past our closing time he cant get system to work end result he sets up one phone line now I'm awaiting the phone system company to have a look. I think I first heard the following saying over 25 years ago, it applies to any technology and I think it's as relevant today as it was then. "the only difference between a used car salesperson and a computer salesperson, is that the used car salesperson knows when they're lying"
If you don't believe me, just ask any highrise building manager to open up a comms cupboard door on any floor, and count the number of comms cables you can see, if there's 10 tenants on the floors above you, you're likely to see over 80 cables, most of which are redundant and many of them were installed within the last 20 years with the most renowned promise of all tech companies. "This will future proof your asset"
For the last 15 years I've been laughing in the face of any tech salesperson who says that to me, and I usually invite them to have a look in any comms cupboard and identify which ones are the "Future Proofed" ones. They usually learn very quickly never to say that to me again. Sadly there's little we can do to stop it because the government, in their wisdom, introduced the Telecommunications Act many years ago so that any Tech progress can not be stymied, it gives almost any provider the rite to enter your property and do as they please. It's also the reason why you see so many beautiful and expensive paving jobs ripped up, not long after they are done, a new providers cable laid, the trench backfilled and 2 bobs worth of ugly hot mix thrown on the top. Known as Australia's easternmost point, Byron Bay is also the country's biggest dickhead magnet. Every type of ****wit under the sun gravitates to Byron: smelly hippies spilling out of their housevans, tattooed surfers fighting each other for territory, barefoot bogans fighting each other for fun, cashed-up boomers flittering between overpriced organic cafes and bull**** galleries, and overseas millionaires buying up the entire town for holiday homes. It's the sort of place that corporate shills on their second divorce fantasize about moving to so they can open a yoga retreat and root a dreadlocked barista on the beach. Byron Bay is Disneyland for dropouts, the Gold Coast for people who prefer their Meter Maids to have hairy pits. Overrun by tourists and littered with their half-eaten takeaways and used condoms, the only people who actually live in Byron Bay are pretentious trustafarians who turned up for Splendour in the Grass and forgot to **** off home after the mushies wore off. These private school plastic hippies use their old man's money to live the 'Byron dream', subsidising their supposed 'free spirit lifestyle' which actually consists of wearing cheap jewellery they bought in Bali while complaining about other fake hippies, catching herpes from German backpackers and generally doing large amounts of serious **** all. Byron Bay gained national notoriety for rejecting fast food giants McDonald's and KFC under the pretence that junk food didn't fit with the 'Byron lifestyle' - maybe if Macca's started serving kombucha and lentils and giving away hacky sacks in their Happy Meals it might have got the Byron seal of approval. Byron Bay is known for its nightlife, which consists of drunken drongos and schoolies smashing each other's teeth out and projectile vomiting at passersby. It's also a primo spot for seeing whales, which is why Byronites were still slaughtering humpbacks as recently as the 1960s. A popular feature is the Cape Byron Lighthouse, which serves the vital purpose of warning passing seafarers away from the complete wankeropolis of Byron Bay. We suggest you heed its warning. Words via **** Towns of Australia. The **** towns stories are all pretty good cobra . Can't believe they didn't award a Nobel literature award this year with writing like this.. ?? Bob was bang on the money,after the telstra guy stuffed up our phone system the techs came out today a week after lodging a service call and re connected our current system and the thief who sold me it who insisted we need a new system is no longer returning my calls after giving him a a mouth full Thanks Bob your a legend for the info you gave me along the way. Well here's my rant. Haven't ranted for a loooooong time but this one needs to be released. In early October I responded to a Facebook Post by a news organization about certain developments and the negative impact that they can have on a community. I talked about the backers only thinking of themselves and not worrying about the local community, the environment and individuals that can be negatively affected. I said that these backers seek to influence politicians and councilors for their own gain. There were 240 responses to this news article, mine was but one of these. A company has gone into my Facebook profile accessed my details and written to my employers asking for me to be stood down because I made allegations that they were corrupt and sought to unlawfully influence politicians and council. I made no such allegations and I didn't name any one or any company. However I must have made comments they didn't like, probably too close to the truth, and they have started a campaign against me. Early this week I get a phone call from my QLD manager telling me I have been naughty and asking me to take the responses down. Out of respect I did so. Yesterday I receive a letter and an invite to a meeting to discuss further action and to be told that I have breached company policy and that my position may be terminated. At the meeting I accepted my error and responded as best I could. I asked that the matter be closed. No. I have another meeting today, for me to be told the results of a report that follows on from yesterdays meeting that will be presented to senior management today. the results of this presentation will be presented to me in todays meeting and I will get a suspension, a severe warning or I may be terminated. So today I might lose a job I have had for 16 years, that I have performed well in and that I am respected in. All this because some dickhead didn't like my comments. even though no names were used. At 64 and wanting to scale back a bit, this is not a good feeling. Pretty bloody gutted actually. Particularly when some little girl who has worked here for a couple of years is delivering the message. CT with you on that one, plus Owners Corporations who rip up tiles across your balcony with out telling you. Wow ET that is some serious sh-t you've been dealing with I hope your company just slaps you across your but and says have a great weekend see you on Monday. Best of luck mate. Join the union ? but seriously, fair work Australia is a good place to start. That and your companies social media policy. Expressing an opinin is not illegal. You also have rights and protections in regards to your privacy. ET give me a slab and I'll KO the ****. I had a brief chat with my daughter tonight she said from what ET said no chance of being dismissed if so he would win the case,offer still stands. Flu injections pfff I never get sick, got a flu injection 11 weeks ago and have been smashed with man flu the last week pfff to the injection still sic as. Never mind mac. Im sure there will be better days to come. We will all be thinking of you. I'm guttered Oldman still no return call,what should I do right him off,delete his contact?